Students, faculty, staff, and community members celebrated the success of the second annual online #GivingTuesday campaign on November 27. 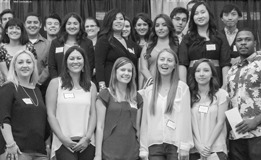 Generous donors stepped up to the plate, raising a total of $26,338.22 for student scholarships. The college quickly reached its $25,000.00 goal with the help of Foundation Board President Gina Cuttone and Board Member Gus Bonner who matched the first $10,000.00 by donating $5000.00 each. 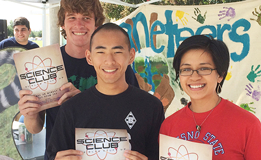 Clovis Community College is grateful for all who donated. 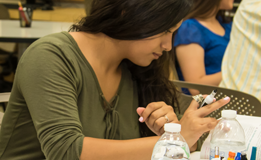 Students will greatly benefit from the additional scholarships as they work to pursue their educational goals. Donors were inspired and amazed by the 2018 scholarship recipients. During the scholarship ceremony, students shared powerful stories about their educational journeys. Many have endured hardships, challenges and obstacles but, through it all, they remained focused on their educational goals. They were very grateful to the donors for believing in them by providing a scholarship to help them achieve their dreams. 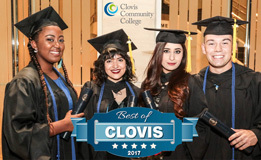 The Clovis Roundup covers the story in Giving Tuesday: Clovis Community College fundraiser contributes to student success. The #Cloviscrushgivingday website is still open to receive donations for all those who still want to give.